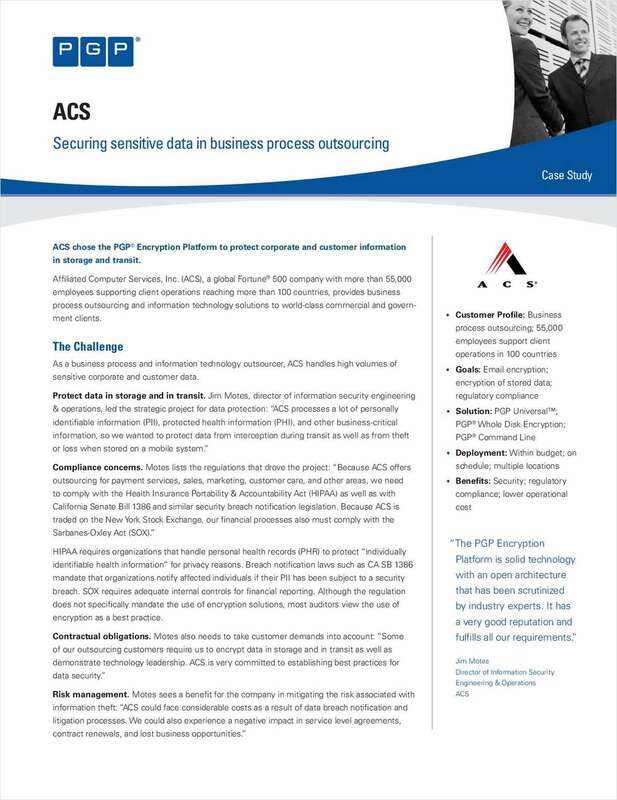 "ACS: Securing Sensitive Data in Business Process Outsourcing"
Free Case Study: "ACS: Securing Sensitive Data in Business Process Outsourcing"
Discover why this global Fortune® 500 company chose the PGP. Encryption Platform to protect corporate and customer information. Covers compliance, risk mitigation, solution requirements, and the successful results.